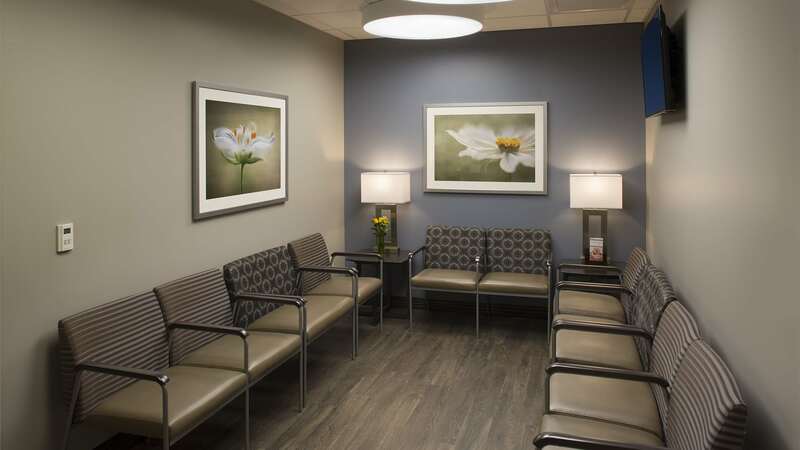 The second floor tenant build-out of 9160 Carothers Parkway consisted of a new clinic space for the Tennessee Fertility Institute which was designed to support their dedicated efforts in providing comprehensive, state-of-the-art fertility care. The new space includes an invitro (IVF) fertilization lab, andrology lab and two new procedure rooms. Four pre/post-operative patient bays are provided for preparing patients for IVF procedures. Additional support spaces include nurse stations, exam rooms, offices, consultation rooms, conference rooms and waiting areas. The client requested a hospitality aesthetic and the finishes selected were chosen to meet those requirements. TMPartners wanted end users to feel relaxed and calm before, during and after the fertility treatments and this affect is reflected in the color schemes, lighting design and furniture selections while still maintaining clinical requirements.